Schulenkorf, N., Sugden, J. & Sugden, J. 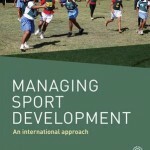 (2016) ‘Sport for Conflict Resolution and Peacebuilding’ in Sherry, E., Schulenkorf, N. & Phillips, P. (eds), Managing Sport Development: An International Approach, Oxon: Routledge, pp. 147-158. Spacey, G. & Sugden, J.T. 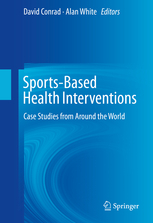 (2015), ‘The Football 4 Peace Experience’ in Conrad, D. (ed) ‘Sport Based Health Interventions – Case Studies from Around the World’, Springer; London. 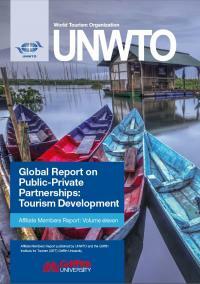 Spacey, G (2015), ‘Tourism and Sport for Development: a collaborative approach in The Gambia’ in AM Global Report: Public Private Partnerships with and within Emerging Tourism Economies; UNWTO / Griffith University. 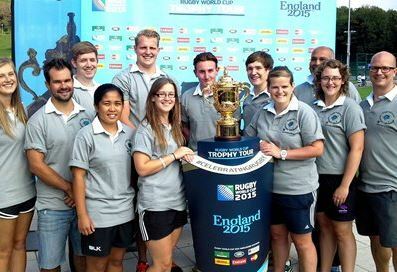 Spacey, G (2015), ‘Rugby World Cup: what good sports can teach the world about how to play fair’ in The Conversation. 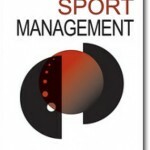 Spaaij, R. & Schulenkorf, N. (2014) ‘Cultivating Safe Space: Lessons for Sport-for-Development Projects and Events’, Journal of Sport Management, 28 (6), pp. 633-645. Wallis, J. & Lambert, J. (eds.) 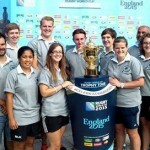 (2015) Becoming a sports coach, Oxon: Routledge. Wallis, James and Lambert, John (2014) Reflections from the field: challenges in managing agendas and expectations In: Schulenkorf , N. and Adair, D., eds. 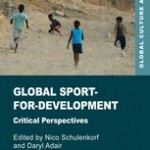 Global sport-for-development: critical perspectives. Palgrave Macmillan, Basingstoke, pp. 99-114. Whitehead, J., Telfer, H. & Lambert, J. (eds.) 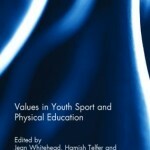 (2013) ‘Values in youth sport and physical education [Edited Collections]’, Oxford: Routledge. 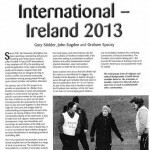 Stidder, Gary, Sugden, John and Spacey, Graham (2013) Football 4 Peace International – Ireland 2013, Physical Education Matters, 8 (4). pp. 19-21. Sugden, John (2013) Fortunate tales of a decent sociologist, a failed footballer, and a reluctant peace maker In: Schinke, R.J. and Lidor, R., eds. 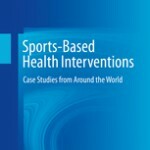 Case studies in sport development: contemporary stories promoting health, peace, and social justice. West Virginia University, West Virginia University, Morgantown, USA, pp. 149-162. Caudwell, J. (2012). 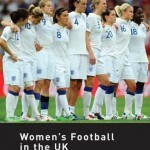 Women’s football in the UK: continuing with gender analyses. London: Routledge. Sugden, J. 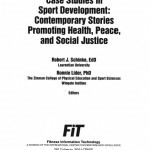 (2012) Sport for development and peace in divided societies: developing cross-community sport partnerships in Israel In: Stidder, G. and Hayes, G., eds. 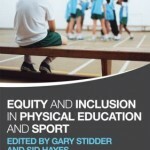 Equity and inclusion in physical education and sport. Routledge, London, UK, pp. 102-123. Sugden, John (2012) Tales of Two Cities. 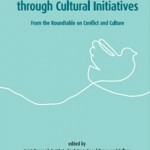 Peace building through inter-community sport in Jerusalem and Bethlehem In: Buschmann, J., Lammer, M. and Petry, K., eds. 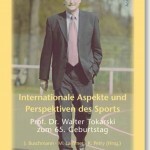 Internatioanle Aspekte und Perspektiven des Sports [International perspectives and aspects of sport]. Academia Verlag, Sankt Augustin, Germany, pp. 213-228. Schulenkorf, N. & Sugden, J (2011) ‘Sport for development and peace in divided societies: cooperating in inter-community empowerment in Israel’, European Journal for Sport and Society, 8(4); 235-256. Sugden, John (2011) Truth or dare: examining the perils, pains and pitfalls of investigative methodologies in the sociology of sport Journal of Qualitative Research in Sports Studies, 5 (1). pp. 189-207. Sugden, J. (2011) The sociology of sport and the quest for peace in societies in conflict: between idealism and fatalism In: Ratna, Aarti and Lasua, Brett, eds. 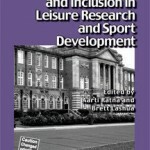 Community and inclusion in leisure research and sport development. Leisure Studies Association, Eastbourne. 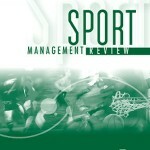 Schulenkorf, N (2010) ‘The roles and responsibilities of a change agent in sport event development projects’, Sport Management Review, 13;118–128. 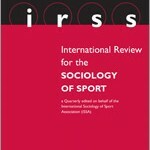 Sugden, J (2010b) ‘Critical left-realism and sport interventions in divided societies’, International Review for the Sociology of Sport, 45;258-272. Sugden, J (2010a) ‘Between Idealism and Fatalism: Critical Realism, Sport and Social Intervention’, in JRIPEC (Ed) ‘Fostering Peace through Cultural Initiatives. From the Roundtable on Conflict and Culture’, London: The Japan Foundation. 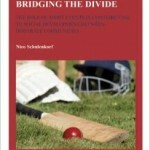 Schulenkorf, N. (2010) Bridging the Divide: The Role of Sport Events in Contributing to Social Development Between Disparate Communities, Gottingen: Sierke Verlag. 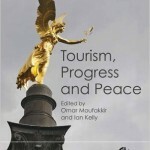 Schulenkorf, N & Edwards, D (2010) ‘The Role of Sport Events in Peace Tourism’ in Moufakkir, O & Kelly, I (eds.) 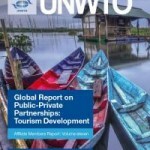 ‘Tourism, Progress and Peace’, Wallingford: CABI. Lambert, J & Gardiner, J (2010) ‘Learning and Teaching Citizenship Through Physical Education’ in Stidder, G & Hayes, S (Eds.) 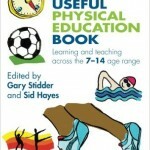 ‘The Really Useful Physical Education Book: Learning and teaching across the 7-14 age range’, Abingdon: Routledge. Sugden, J. (2009b). 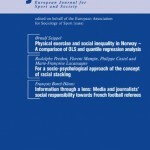 ‘Sport Intervention in Divided Societies: Pragmatic Realism and a Human Rights Approach’, Play Fair! 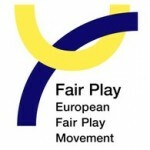 The Official Publication of the European Fair Play Movement, 17(2008-2, 2009-1), Academic Supplement, Issue No 7, 6-8. Sugden, J & Haasner, A (2009a unpublished) ‘Sport Intervention in Divided Societies’, Eastbourne: University of Brighton. Sugden, J. (2008). 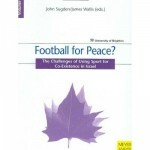 ‘Anyone for Football for Peace? 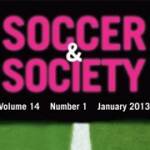 The challenges of using sport in the service of co-existence in Israel’, Soccer and Society, 9(3), 405–415. 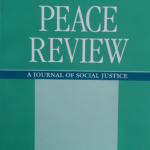 Rookwood, J (2008) ‘Soccer for Peace and Social Development’, Peace Review, 4:471-479. 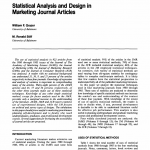 Sugden, J., & Wallis, J. (Eds.) (2007). 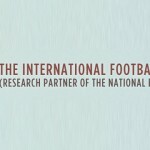 ‘Football for Peace? 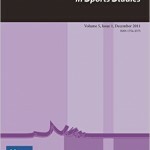 : The Challenges of Using Sport for Co-Existence in Israel’, Oxford: Meyer & Meyer Sport. Stidder, G. & Haasner, A. 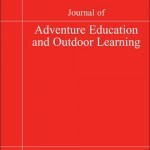 (2007) ‘Developing Outdoor and Adventurous Activities for Co-Existence and Reconciliation in Israel: an Anglo-German Approach’, Journal of Adventure Education and Outdoor Learning, 7(2), 131–140. Liebmann, S., & Rookwood Joel (2007). 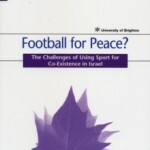 ‘Football for Peace? 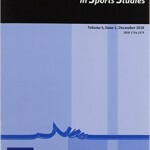 Bringing Jews and Arabs together in Northern Israel’, Journal of Qualitative Research in Sport Studies, 1(1), 11–18. Caudwell, J. (2007). On Shifting Sands: The Complexities of Women’s and Girls’ Involvement in Football for Peace. 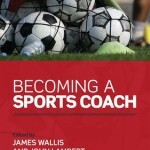 In: Sugden, J. and Wallis, J., eds. Football for Peace: Teaching and Playing Sport for Conflict Resolution in the Middle East. Meyer & Meyer, 97-112. Whitfield, G. (2006). 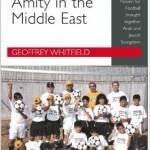 ‘Amity in the Middle East’, Brighton: The Alpha Press. Sugden, J. (2006c). 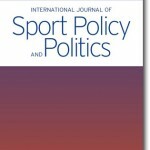 ‘The Challenge of Using a Values-Based Approach to Coaching Sport and Community Relations in Multi-Cultural Settings: The Case of Football for Peace (F4P) in Israel’, European Journal for Sport and Society, 3(1), 7–27. Sugden, J. (2006b). ‘Sport and Community Relations in Northern Ireland and Israel’ in Bairner, A (Ed. 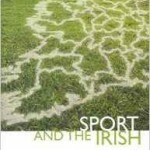 ), ‘Sport and the Irish: Histories, Identities, Issues, Sport and the Irish: Histories, Identities, Issues’ (pp. 251f), Dublin: University College Dublin Press. Sugden, J. (2006a). ‘Teaching and Playing Sport for Conflict Resolution and Co-Existence in Israel’, International Review for the Sociology of Sport, 41(2), 221-240. Sugden, J (1991) ‘Belfast United: Encouraging Cross-Community Relations through sport in Northern Ireland’, Journal of Sport and Social Issues, 15;1;59-80.